In today's guide I am going to show you the ways to insert copyright, trademark and registered symbols in Photoshop. I have collected all the possible methods to type copyright, trademark and registered symbols. If you are facing any problem regarding this issue then you just go through the guide below. 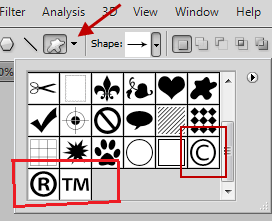 There are basically two methods to make copyright and other useful symbols in Photoshop. I am going to discuss both the methods deeply in order to do the copyright, registered and trademark symbol. This is the first way to insert copyright symbol in Photoshop.You might don't know but Photoshop comes preloaded with all the special symbols and characters such as copyright symbol (©) , trademark symbol (™) , registered symbol (®) and many more. You just need to select them to insert in your document. Just follow the steps given below to add copyright symbol and others also. First of all go to Custom Shape Tool. Now just click on Shape Thumbnail from the Options Bar. Now you can see all the special symbols and characters, choose the copyright symbol (©) in order to insert it in your document. Do the same for all. If you don't find the above mentioned method convenient and are in a habit of using keyboard a lot then here's another method for you. You can use the pre-made code to insert special symbols in Photoshop. I have listed keystrokes values for copyright, trademark and registered symbols below. If you want values for more symbols then use Character Map application in Windows. The Character Map can be found by going to the Start Menu, then All Programs/Accessories/System Tools/Character Map. So this was all about how to insert special symbols in Photoshop. If you have any doubt or query then feel free to leave a comment below in the comment section. Alt 0174, in my version of Photoshop CS5 Extended Pro, creates a blank space, but no symbol. I have tried this multiple times. 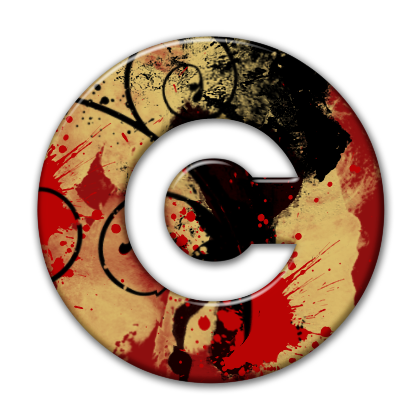 I have tried closing all of the other layers, changing the font color, removing the background. Nothing. Nada. Nix. Nil. Am I missing something, or is this not the correct keystroke combination for making a Registered Trademark symbol?